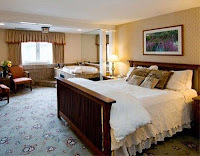 cool moms cool tips: Meadowmere Inn in the Fall, Winter, Spring, Summer, Fall, Wonderful Every Season & Worth Repeating! 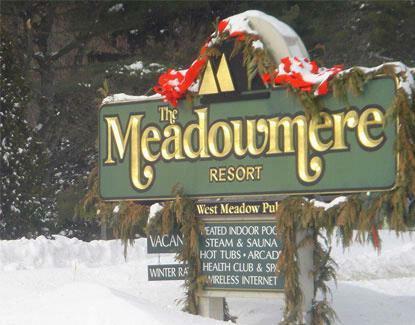 Meadowmere Inn in the Fall, Winter, Spring, Summer, Fall, Wonderful Every Season & Worth Repeating! Recently, I had the best getaway I‘ve had in my life! Somehow I felt like if I wrote about it I would break its spell, but this can’t be kept a secret! The world constantly revolving around the sun delivers the beauty of seasonal changes. Fall was upon us and it become an incredible nature show in the Northern most part of the hemisphere. Yes, we really have kept this for ourselves, but now now that this little destination is absolutely fabulous all year round. OK so, if you have the pleasure of experiencing natures’ fall colors and life, what I am talking about is not going to make much of a difference, but I guarantee Ogunquit and the Meadowmere Resort will! 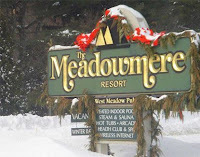 Ogunquit and Meadowmere Resort have made such a deep and positive impression upon us that we keep checking in their websites to daydream from afar. We have to admit, we would love to enjoy a little snow with them! Charming and inviting, Ogunquit is home to Meadowmere Resort which decisively contributes to seal the deal on making this town and idyllic and perfect place in a luxurious pampering way. Even before getting to the Meadowmere Resort, the superb customer service helping a frantic client find the right room at a practically sold out weekend was phenomenal. They truly went far and beyond the call of duty in the most courteous and understanding way. There are no words to express our gratitude for their professionalism and willingness to take so many extra steps for us without having a reservation from us in place. We drove excitedly to our destination resort. As we did, right before the GPS told us we were about to arrive, we passed by the most gorgeous two story building that just felt perfect to me. I did comment how I wished that would have been our hotel. A half a block later we arrived. The entrance at the Meadowmere was magnificently decorated with the Halloween spirit and I was taken aback by the liberal use of pumpkins all over! It was simply a stimulating visual reception that was matched by a genuine, professional and warm welcome to the Meadowemere Resort. Giddy with excitement to finally be there, got the instructions to our room and to my delight it was just the building I had wished for! Now, the room was incredibly spacious, tastefully decorated and propped with all the plates, cups, lobster eating utensils and wine openers you can possibly need away from home. The beds are sooo comfortable we took down the mattress information to have the same experience at home. Closets and storage areas are roomy, and my personal favorite: the room has a double glass door which allows you to look out your room, if you are interested. The amenities in the bathroom were little Swedish luxuries bottles full of pampering. In the end, the combination of great experienced hoteliers, outstanding service, attention to detail, and their ability to take your vacation experience to a high level of comfort is way up there. Better yet, it does not stop here, as the Meadowmere Resort is the re-known for their concern for the environment. They are at the forefront, and are Ogunquit's first Certified Maine Environmental Leader Hotel. We can’t say enough about this resort, and it feels like everything we can say just falls short. I must admit I felt like hugging in gratitude every staff member we came across. They all indisputably strive to exceed your every expectation effortlessly. My bucket list now includes an annual visit to the Meadowmere, can’t wait to get to work on that list!!! Make the Grade Getaway! Show us those Straight A's - and Save! We know kids - and mom and dad - work hard to make the grade. Which makes school vacation all the more reason to have fun! Show us your current report card from any middle or grade school and your stay of three nights or more is 20% off during December, February, March or April school breaks. It's time for a reward for all the hard work to make those Straight A's! In the wise words of kid, are we there yet?